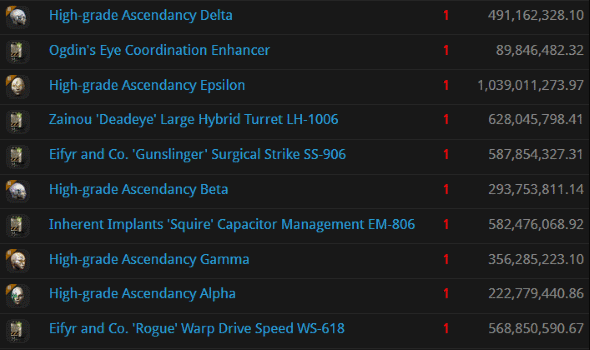 The New Order is the conscience of highsec. When a carebear is about to do something really bad, he remembers our Agents and thinks to himself, "Hmmm. Maybe I'd better not." In spite of all this, the carebears continue to do some really nasty stuff. One shudders to think what sort of bot-aspirancy they'd get up to if we weren't around. To answer that dark question, we must consider the worst of the worst--like these reprobates from the week of December 31st @ 00:00 EVEtime through January 6th @ 23:59 EVEtime. 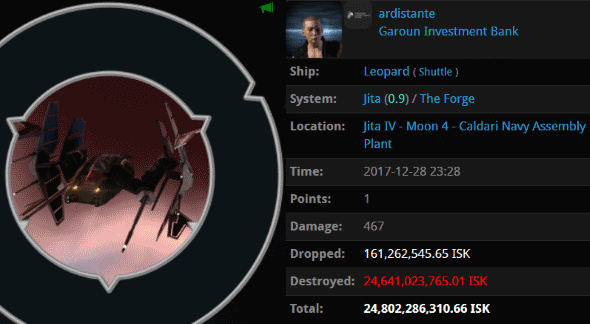 ardistante was hanging out at Jita 4-4 in a Leopard, a notoriously speedy class of shuttle. But he wasn't quick enough to escape Agent Ormara Muutaras, who blapped the carebear for the crime of loitering. We've seen Code-violating shuttles before, but ardistante takes the cake. Even the Leopards themselves are much more expensive than they once were; our Agents are responsible for making them an endangered species. ORE-fit jump freighters continue to disturb the tranquility of highsec. But our Agents are definitely on their case. 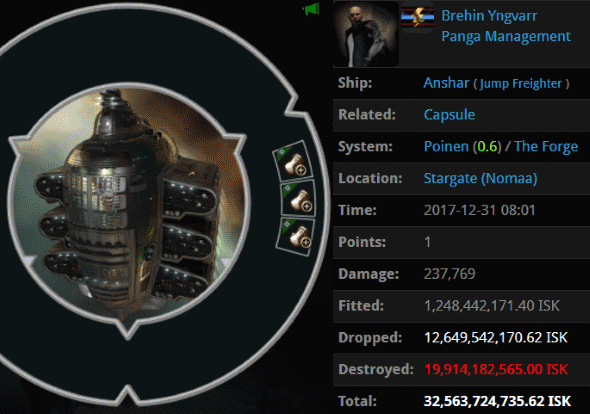 Brehin Yngvarr was the latest blingy jump freighter to be ensnared by Code enforcers--losing 32.5 billion isk in the process. Kudos to Agents Tax Collector KarlMarx, Tax Collector Kimi, Tax Collector Richard, Tax Collector Stroheim, Tax Collector Aruka, Tax Collector BokChoy, Tax Collector Hill, Tax Collector Buck, Tax Collector Larry, Tax Collector Alison, Tax Collector Max, Pod Destroyer Molly, Tax Collector Yuna, Taxman Daniel, Tax Collector Kittens, Tax Collector AynRand, Tax Collector Shardani, Australian Excellence, and Mining Lord 1999. Wasn't she a little young to be piloting an Orca? 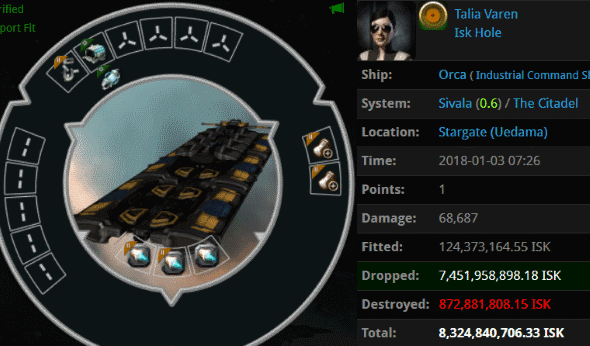 Maybe she purchased skill injectors from that Leopard pilot. Agents Trump The King, Tawny Rozei, Christine Rozei, Sherri Rozei, Ruby Rozei, Giselle Rozei, Shanade Rozei, Lagatha Rozei, and Katy Rozei checked Talia's identification, determined that she was underage, and promptly killed her. 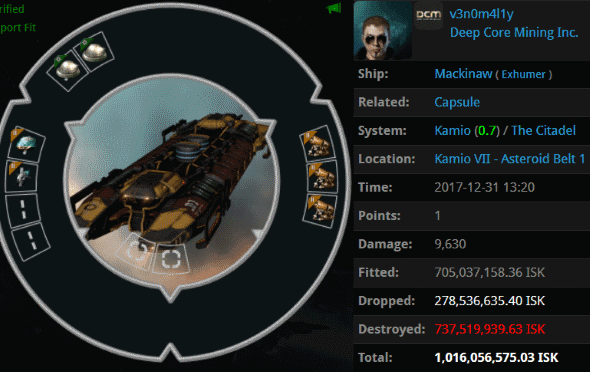 v3n0m4l1y must've been out of his mind to bring ORE strip miners into a Kamio asteroid belt. If he was playing some sort of practical joke, Agents Pod-Goo RepoWoman and Aaaarrgg weren't laughing. 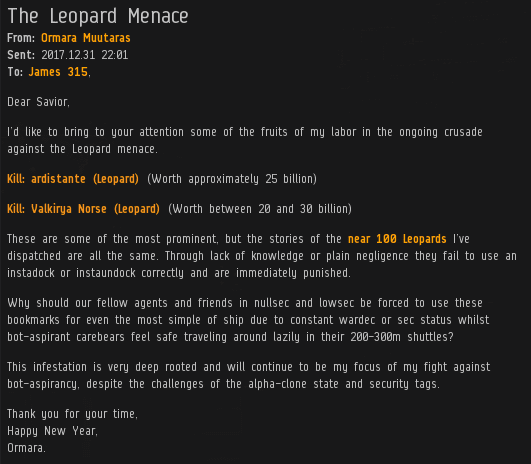 Not until after they ganked him and his quarter billion isk worth of mining drones, that is. Melchezedek wasn't a very clever miner, either. His capacitor tank did little to save his blingy Hulk from destruction at the hands of Agents Luna Nightblood and Ralliana. Melchezedek's Hulk was worth over 1.1 billion isk. But eagle-eyed readers will note that his fittings were unremarkable. What was this miner hiding in the cargo bay? 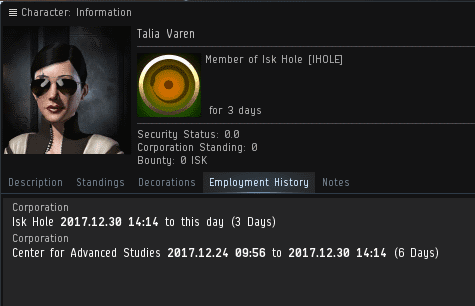 I don't know Miss Tyv, but if I were to judge this book by its cover, I'd say she fancied herself an elite low/null PvP'er. That's all well and good, but in highsec, our elite PvP is a little more elite. Agents Death Eater 101 and Ngoq TlhamChu' ChutEnforce removed Miss Tyv from her ship and extracted her implants. 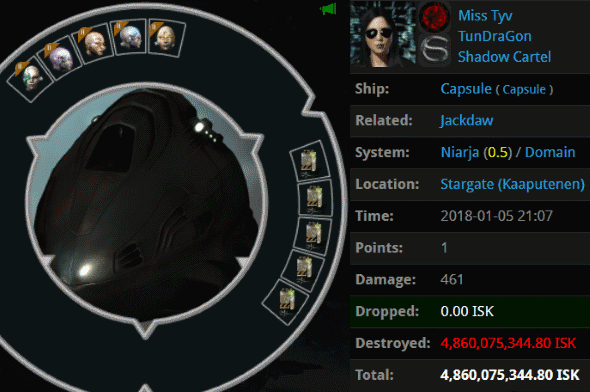 4.8 billion isk later, Miss Tyv learned that expensive implants don't do you any good if you don't have a Code to plug them into. wow just wow. 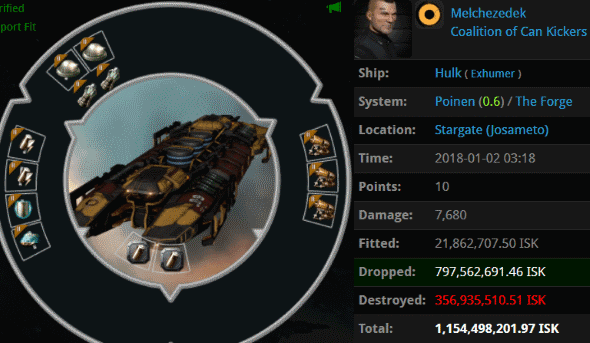 antigankers failing HARD for another week. yeah, that would be gross. And there's absolutely nothing those ag scum can do about it!! LOL Tax Collector Shardani. Need moar Tax Collectors named after anti-ganking losers, please. A code looser striving to be a RL looser... congrats! 10m would not take so long to make if you would stop mining in high sec lol better luck next time care bears.